C. Nicole Mason had it rough. And her triumphant story, which reminds me a little bit of Cupcake Brown's Piece of Cake, is about how a person perseveres and overcomes really hard life challenges. To be fair, on the difficulty scale, Mason's story doesn't compare to Brown's, who wins the Most Despicable Childhood Award and the Most Extreme Adult Life Turnaround Prize. But Mason's story about the dual existence in which she must exist between her poor neighborhood and affluent school-- poor kid among the rich; smart kid against low expectations; Black girl alone among Whites, resounds for many of us who find ourselves navigating similar worlds and experiencing that same chip, chip, chipping away of self that happens on both sides and during those instantaneous transition moments that are required. Mason's story is about the little Black girl who propels herself forward by being good at being good. 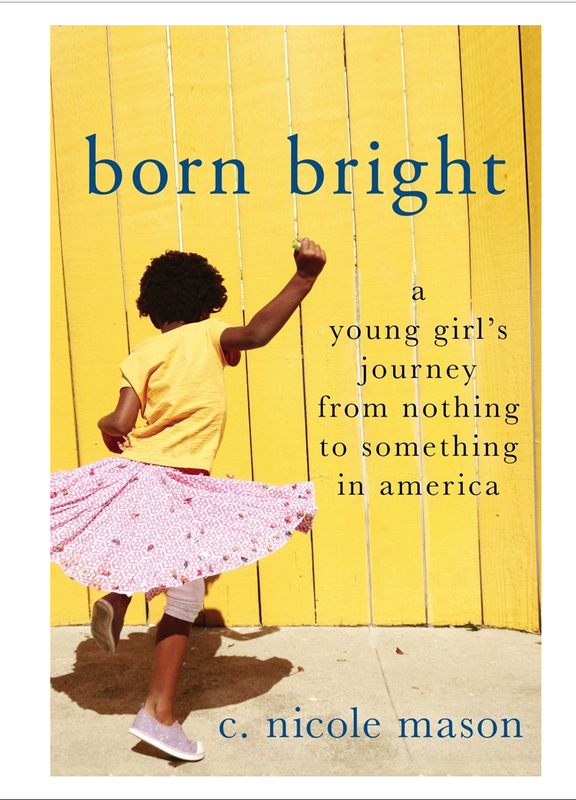 Brown's story is about a that little Black girl who propels herself forward by being really good at being really bad. Somehow, they end up in the same place, which is essentially so far on the other side that they are able to look back and provide us profound perspectives on their journeys.